The sub-chassis is suspended from the top plate and attached to the arm board and spindle. To ensure the needle accurately tracks your record the sub-chassis must be made with precision and designed in such a way that it is structurally sound and perfectly balanced. The original LP12 sub-chassis was made from 1.2mm steel which can warp over time leading to alignment issues. Later versions like the Majik, Kore and Keel are stiffer with improved sonic performance. 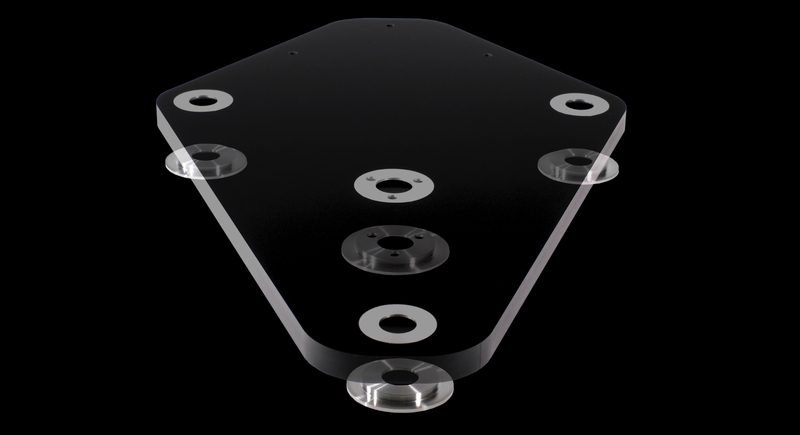 Linn and other third party LP12 sub-chassis tend to be made from metal, which can be stiff if designed properly. However, metal naturally resonates which is often employed for good effect, as in a cymbal for example. In our view a requirement of good turntable design is to prevent resonance and vibration from reaching the stylus. It is true that in some cases resonance can add certain sound characteristics which people like, and it is undoubtedly true that the LP12 has a distinct sound loved by many. Precision is key which is why the sub-chassis frame is machined to a very tight tolerance here in the UK. The metal inserts which the bearings and spring attached to are also precision turned from solid aluminium to provide a secure and rigid fixing. Choosing the material was the easy part. Ensuring the Solid Surface SERENE SubChassis retained the same mass and balance as the original was essential. Countless prototypes, vibration modeling and listening sessions led to our final design. We use a honeycomb structure to ensure maximum strength with varying pocket depths to tune and balance the SERENE LP12 Sub-Chassis, ensuring it works perfectly with the LP12 suspension. The Stack Audio SERENE Sub-Chassis can be used with the original and other LP12 arm boards. However it performs at its very best when used with one of the matching SERENE Arm Boards. 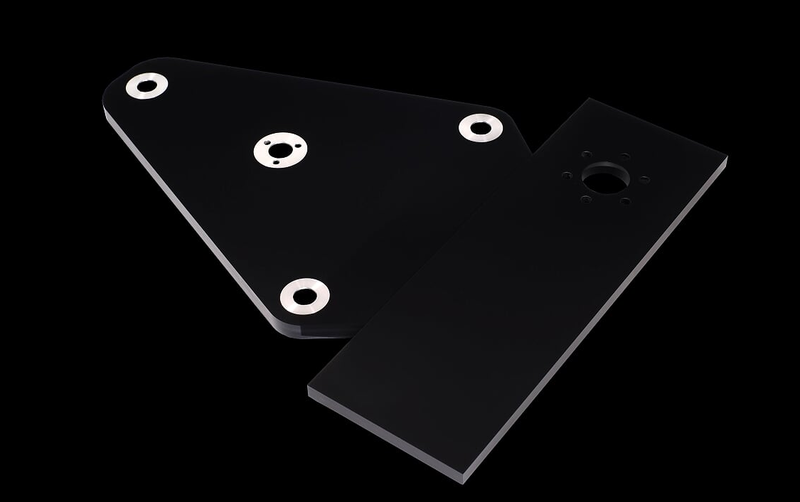 These are available in 5 standard fittings and custom cut-outs to special order.